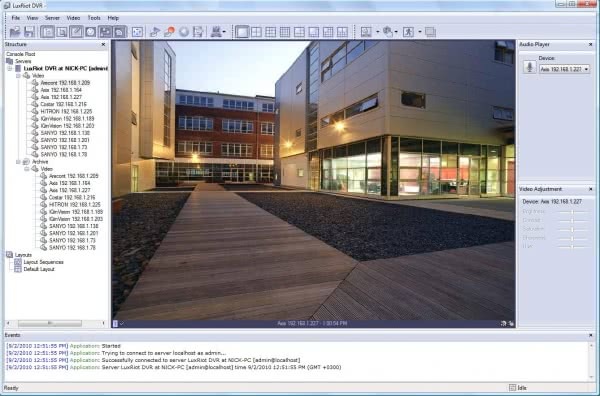 Luxriot VMS is an open architecture Video Management System (VMS). 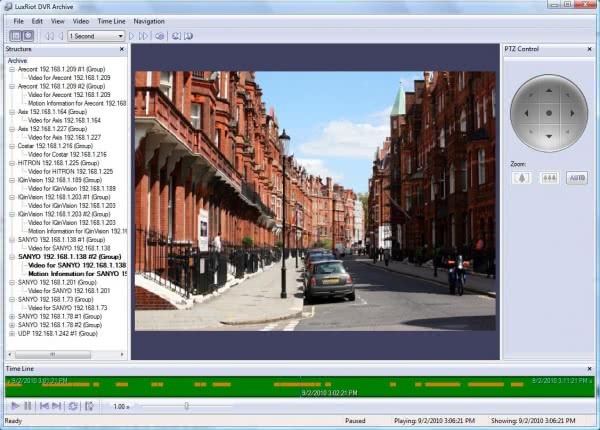 Luxriot VMS accepts MJPEG, MPEG4 and H.264 as well as HD and megapixel video streams from Network (IP) cameras, encoders and video capture boards. 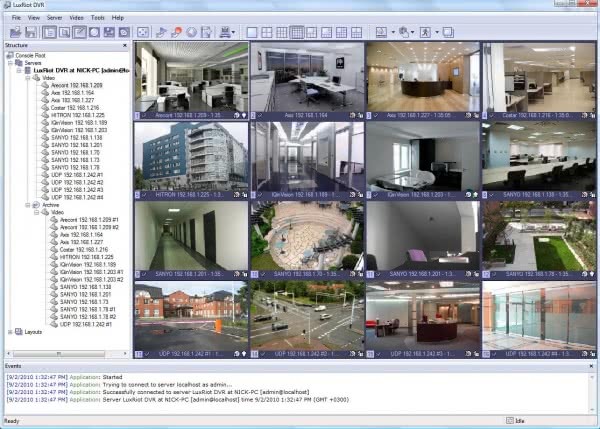 Luxriot Video Management System is integrated with over 4000 devices from all major manufacturers including ACTi, Arecont Vision, Axis, Hikvision, Messoa, Samsung, SONY, UDP, Vivotek and others. 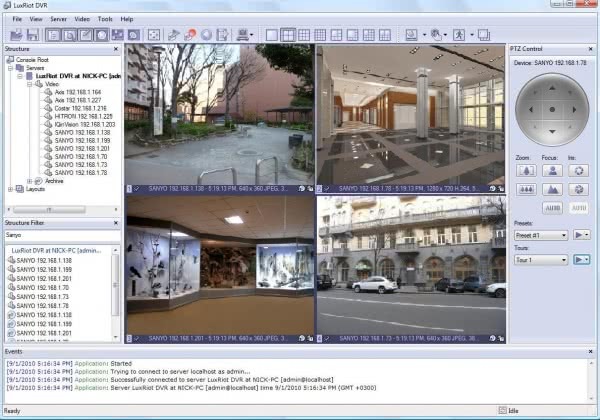 This along with Luxriot Video Management System client-server architecture allows to build hybrid scalable solutions from a single NVR/DVR to the multiple server system handling thousands of cameras. Luxriot has begun the End-of-Life (EOL) process for Luxriot VMS software. Luxriot VMS is being discontinued due to market demand, shifts in technology, and a change in focus and investment. It is recommended that you upgrade to Luxriot EVO family software as early as possible. 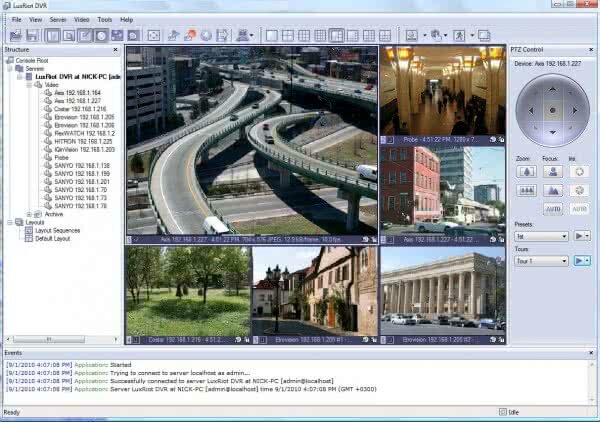 Video Analytics (add-on product) (people counting, car counting, object counting, intruder perimeter detection, direction filter, dwell filter, removed object detection, abandoned object detection, tailgating, calibration, camera shake cancellation, camera tamper detection, enter exit filters, stopping filter and more. Download latest shareware version of Luxriot VMS software 2.5.11. Shareware version of Personal Edition is intended for the evaluation purposes only. 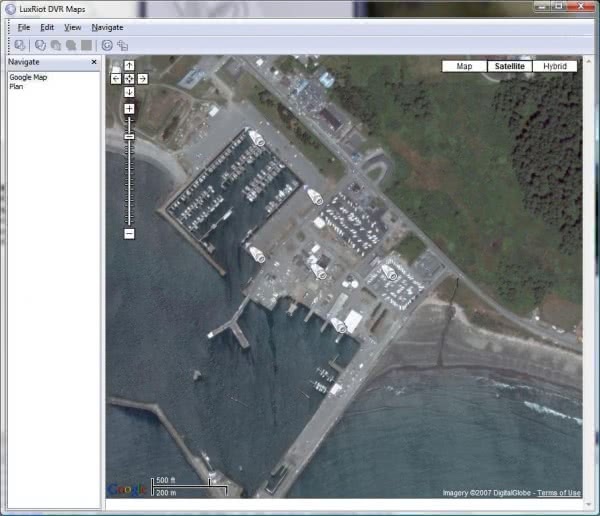 Therefore, it has limited functionality, such as server cannot run as a Windows service.